Goalkeeper Jamie Jones has signed a new two-year deal with Wigan Athletic to extend his stay at the club until 2021. 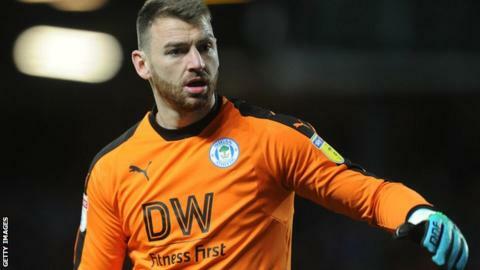 The 30-year-old joined the Latics on a free transfer in 2017 after rejecting a new contract at former club Stevenage, and extended for a year last term. Jones helped Wigan to the League One title in his first season at the DW Stadium and has made 32 appearances in total, conceding 35 goals. "Jamie has been excellent for us when called upon," said boss Paul Cook.